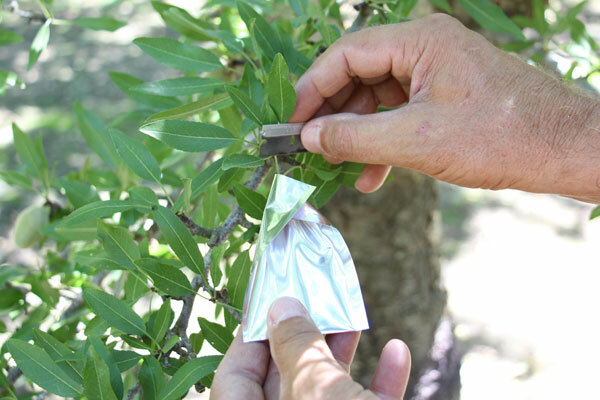 Select a leaf from the lowest branch on the tree (shady/north side of tree). Established limb – not new growth. 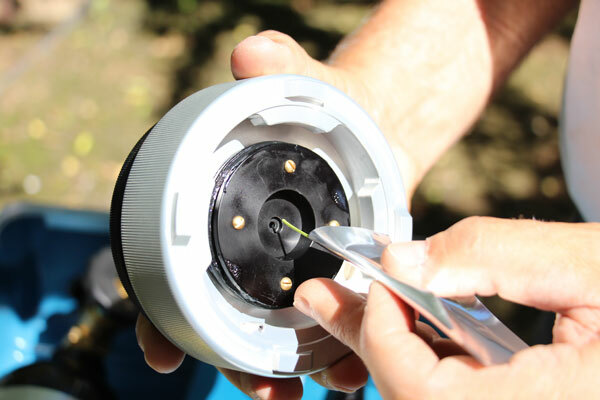 Leaf should be fully expanded and in good condition – no holes, rot or problems with leaf. Can be on for several hours without any problem. Best method is to put on bags and then come back and test them. 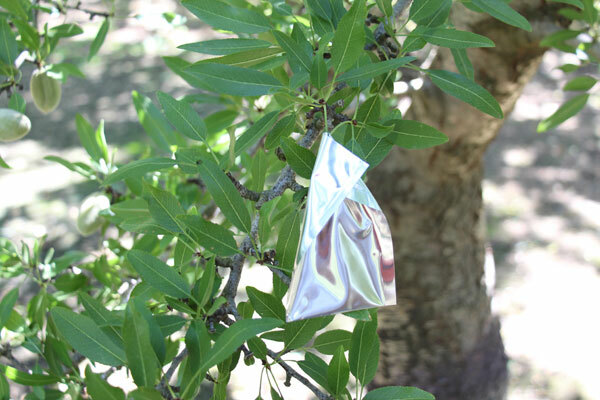 The bag removes environmental stress and allows the leaf to equilibrate with the trunk of the tree. 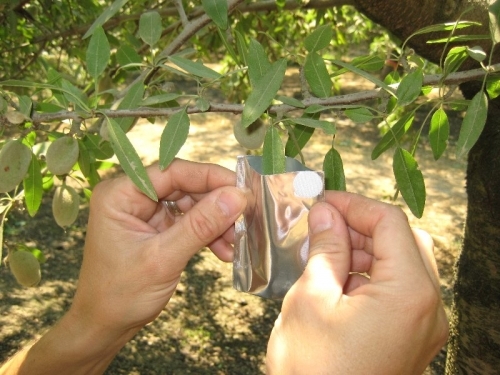 After 15 minutes or more – cut the leaf from the tree. 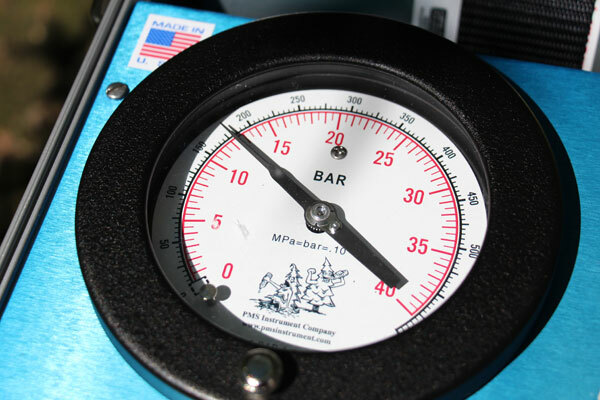 The instrument should be prepared so that the reading can be taken immediately. 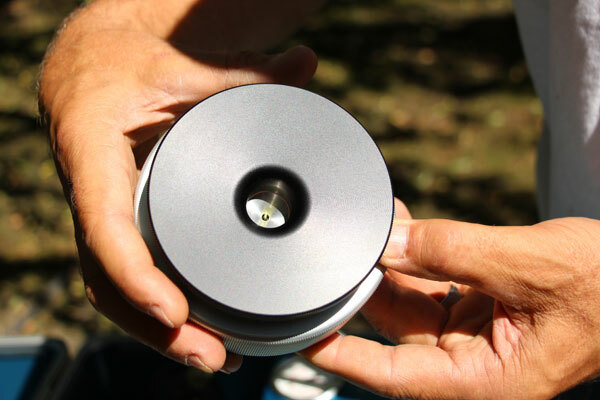 Insert the petiole of the leaf into the bottom side of the chamber. Petiole should just barely protrude through the gasket/insert of the lid. 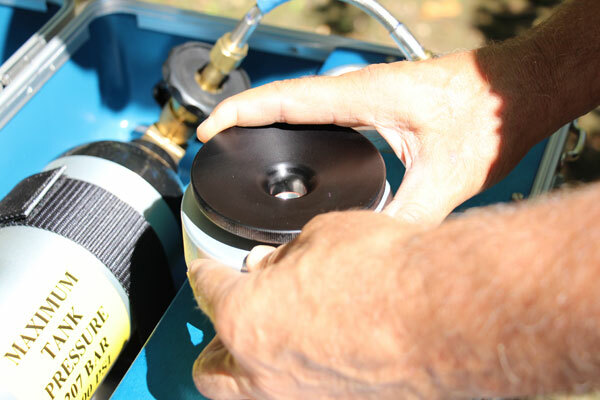 Tighten the gasket around the petiole by twisting the black ring clockwise till it is tight. 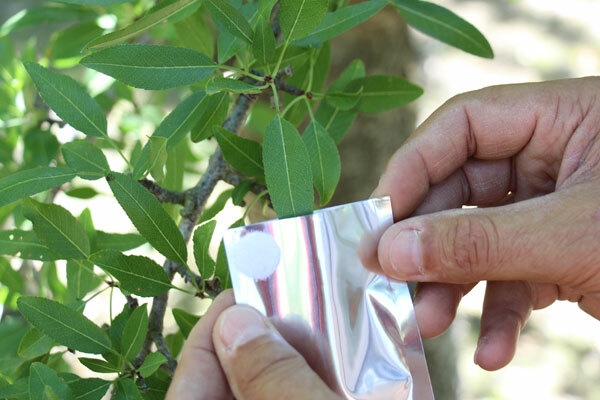 Next, put the bag/leaf down into the chamber and lock the chamber lid in place. Rate Valve should be set to fill the chamber at a rate of about 1 bar every 2 seconds. Too fast a rate will cause error in the reading at the end-point. 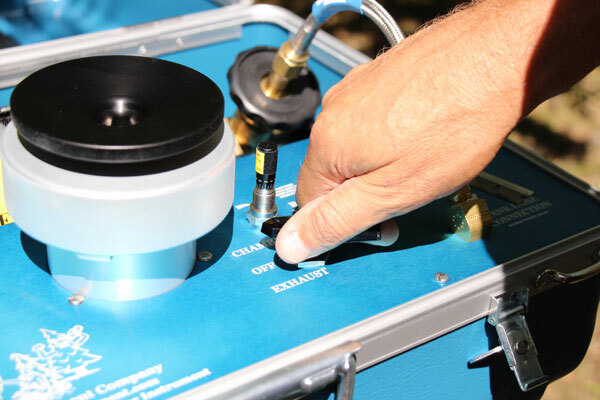 Place the Control Valve into the “Chamber” position and begin filling the chamber. 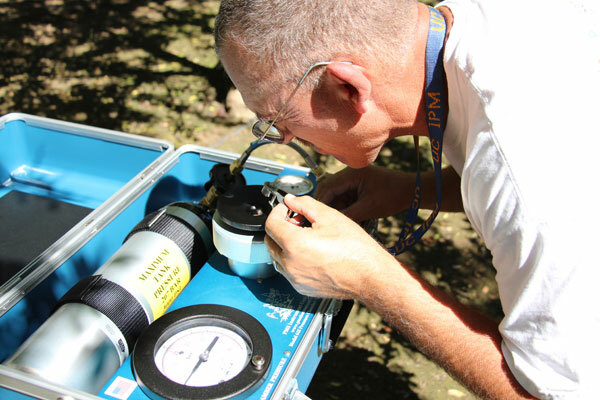 With one hand on the Control Valve, watch the end of the petiole carefully for water to appear. The end of the petiole will change from light green to a darker green at the moment the water appears. 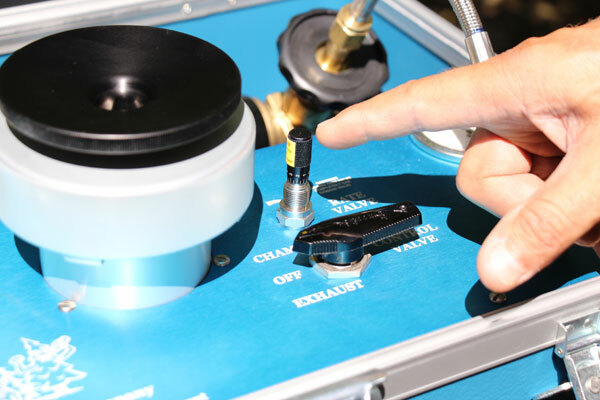 Immediately stop the increase in the chamber by placing the “Control Valve” in the “OFF” position. Many thanks to Allan Fulton of the University of California Cooperative Extension! 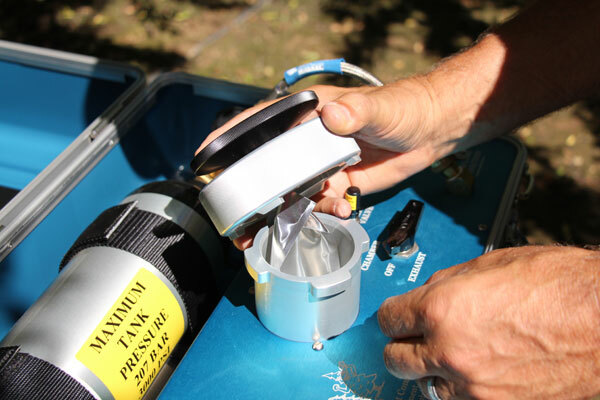 For more information on how to use the Pressure Chamber with Almond, you can download the ANR Publication 8503 here. 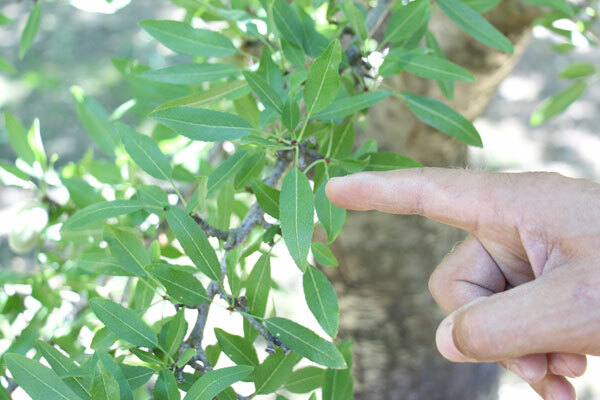 SEVERE DROUGHT MANAGEMENT SUGGESTIONS – The Almond Doctor. An article by David Dhol – UCCE with some recommendations for surviving the California Drought.